Announcing our newest product for the magnificent iPad Pro. Add a touch of the islands and protect your iPad Pro with this hard cover Powis iCase Folio case. Our beautiful Hawaiian and tropical designs are printed on recycled hardboard and then laminated with a glossy finish. Each case is custom made with premium book cloth by one of the most innovated bookmakers in the California. This hard cover case is durable and features rubberized non-slip edge design for landscape use and was designed specifically for the new Apple iPad Pro. So surf through our newest folios for your amazing new iPad Pro! iPad cases. We’ve got you covered. Give your Apple iPad some aloha to go. 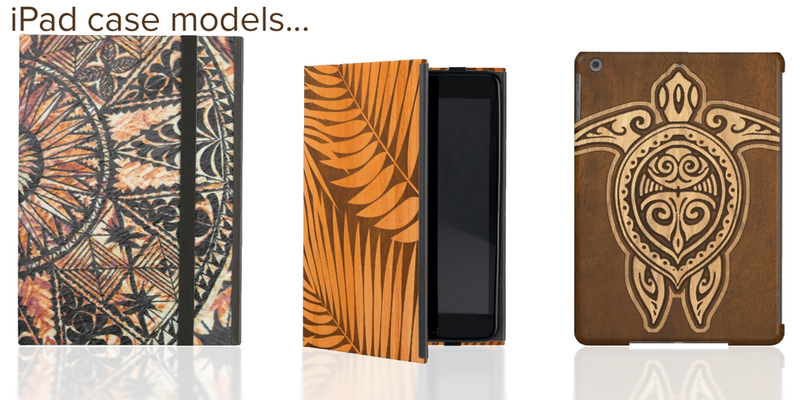 Our iPad cases, Smart Covers and Rickshaw Bagworks sleeves offer great protection Hawaiian style. From the iPad Mini to the iPad Air, we offer cases and covers for every model. Sign up for Hawaiian Cases email updates and special offers.